Gear parts are important components of the reducer, and its quality directly affects the service life and safe production of the reducer. 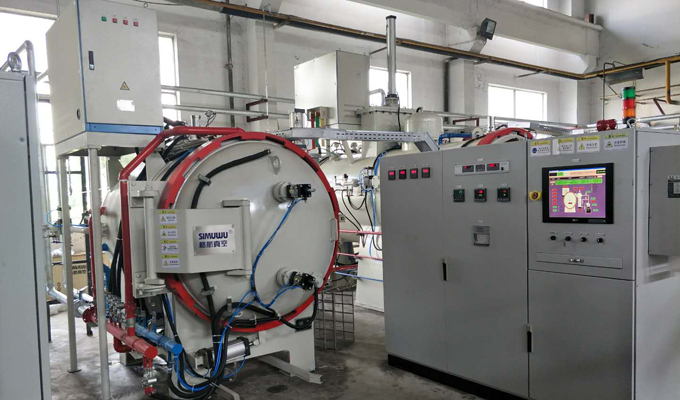 After the emergence and use of gear processing machines, the bottleneck that seriously affects and restricts the quality of gear processing occurs in the blank forging process and heat treatment process, especially the Vacuum heat treatment process. Due to the imperfect process execution, internal cracks are prone to occur, which are difficult to be detected and detected during machining. Often, when the workpiece is in the finished product or semi-finished product, the internal cracking causes internal waste, resulting in quality accidents, such quality problems. It should happen from time to time and should be strictly observed. Gear parts are generally subjected to more than two heat treatments. The main purpose of heat treatment of the tooth blank is to eliminate the internal stress caused by the hot forging blank, improve the metallographic structure and workability of the tooth blank before processing, thereby improving productivity, saving tool costs, improving machine tool utilization, reducing and preventing Deformation during machining or during heat treatment. The purpose of heat treatment after tooth profile processing is to improve the hardness, working strength and wear resistance of the tooth working face. In this heat treatment process, the gear parts are easily deformed, and it is necessary to carefully operate, carefully explore the law, strictly control the heating time during quenching, the holding time, the size of the workpiece and the placement in the furnace, and minimize the workpiece in the process. The amount of deformation. For cylindrical gears, if the amount of deformation is too large, in the process of finishing the tooth surface, there is a single-side tooth grinding that does not come out and waste occurs. Or the tooth-tooth direction changes in the fine grinding, so that the contact area is biased to one side, affecting the position of the contact area, and failing to meet the requirements. Bevel gears are required to be high during vacuum heat treatment, but are also deformed after heat. After the final heat treatment, the deformation of the gear shaft is the center deviation of the shaft body and the shaft head. The deformation of the gear is an overall bow change. During the hard tooth surface scraping process, a convex and concave surface appears. A few teeth on one side advance into the cutting and the other side is cut into the teeth. There is also black skin when thick, which does not meet the requirements, and the tooth surface is not completely cut. The carburized layer that has entered the cutting tooth surface in advance has been thinned and even cut off, so that the teeth lose hardness and strength, and the surface looks good, but the life is greatly reduced when actually used in boxing. In short, in the production process of gear-type workpieces, from the forging of the tooth blank, to the heat treatment after roughing and the heat treatment after finishing, the process flow of each process must be strictly implemented to reduce waste, save costs and improve Product quality is very critical.